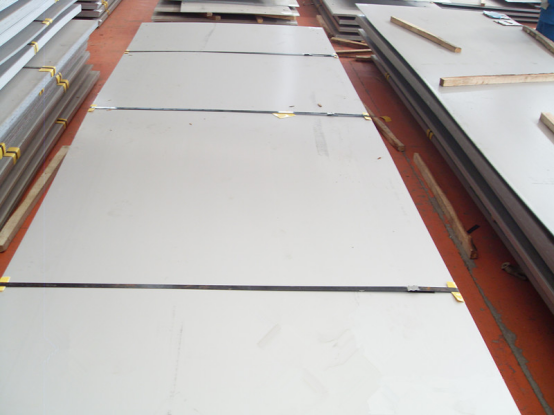 Jaway metal group, founded in 1998, is a professional manufacturer and global exporter specializing in custom cut stainless steel sheet manufacture and exportation. Jaway metal,one of the main custom cut stainless steel sheet in China.In recent years, winged by rapid merge and expansion, Our well-equipped plant emerged in Dainan, Jiangsu Province,with two Export offices respectively located in Shanghai and HongKong catering to a lager scale of customers from both home and abroad under the banner of supreme service.The detail info.is in below table. 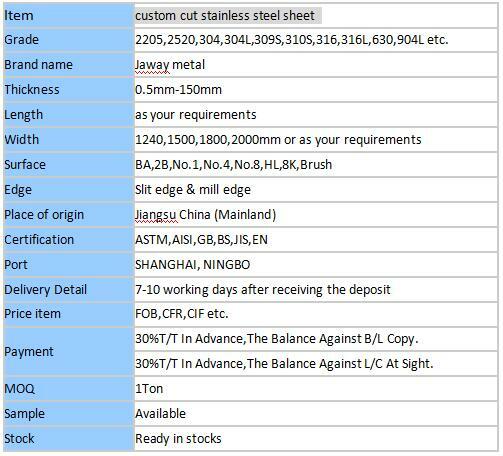 If you are interested in the custom cut stainless steel sheet, please feel free to contact us. Jaway metal,warmly welcome friends and cooperators from all over the world!